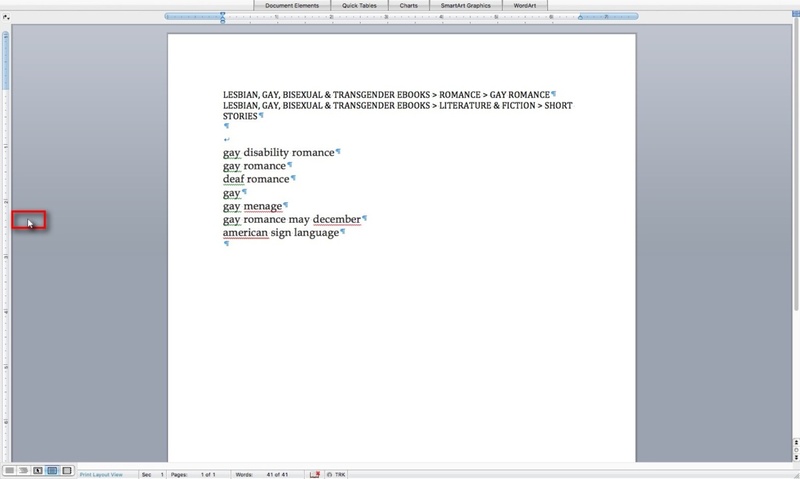 Most writers who have books on Pronoun have probably already transferred them to new distributors, but not me. A wedding (my wedding, to be exact), a ten-day migraine, and two weeks of flitting around the country will do that to a person. 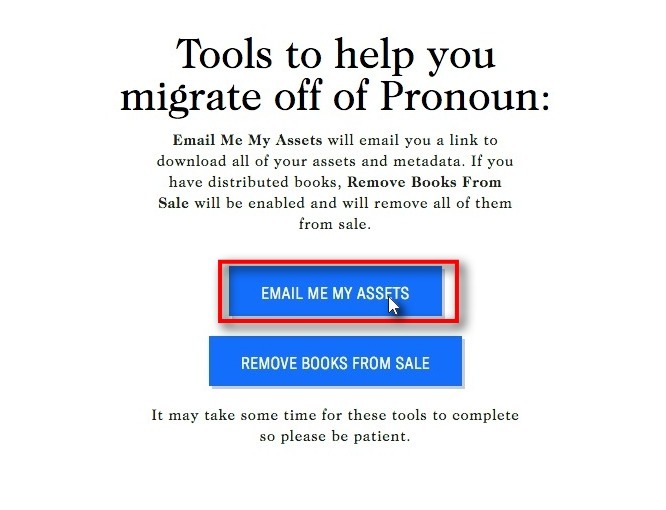 Update on January 14: I got a vaguely worded email this morning from Pronoun implying that it will be shutting off access to the editing interface TODAY, not tomorrow. 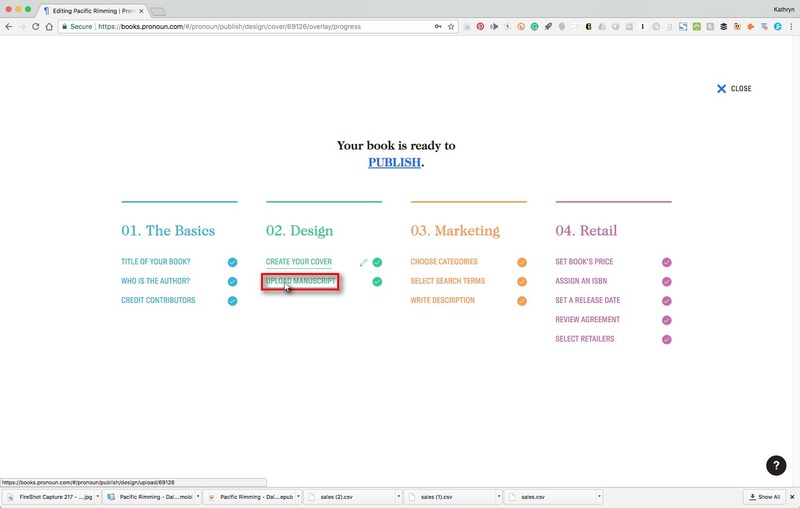 Since the editing interface is how one gets access to all the book info discussed in Option 2 in this article, that means even less time to take these steps. So stop whatever you’re doing and DOWNLOAD YOUR STUFF NOW. If you follow these steps, you’ll have what you need to upload your books to other distributors, like Smashwords and Draft2Digital. Double-click on any image in this tutorial to see a larger version. Clicking on the link will start an immediate download, so I recommend clicking it only on a desktop, not on your tablet or phone (unless you’re in the habit of storing large files there). It’s quick. It’s easy. It sends your book files in perfect condition. On the other hand, all that code will be useful for some retailers, like Amazon, which let you put HTML markup in your product description. It won’t, however, help you on Smashwords, which does not consistently support HTML. You’ll need a clean, non-marked up version for them and some other distributors. Take note of your price and retailers. It’s good practice to keep copies of your ebooks on your own hard drive in case anything ever goes awry with your distributors. In case you don’t, now’s the time to download them. 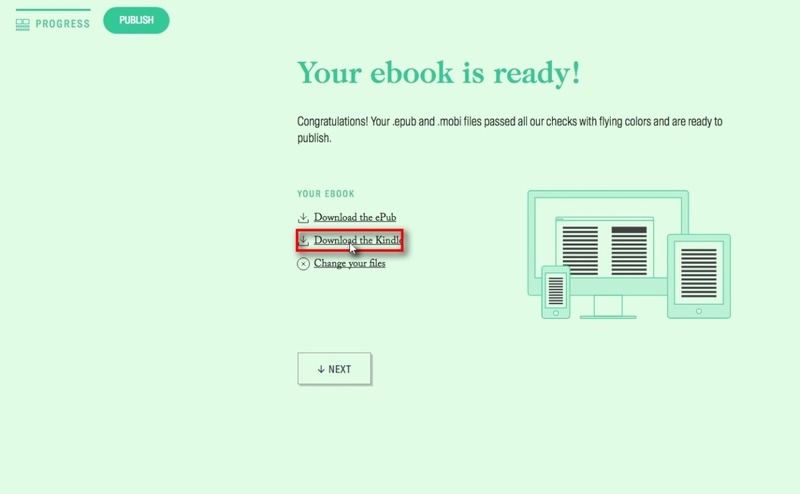 You will need, at minimum, the epub version in order to distribute your ebook to other retailers. Select Progress in upper-left corner of screen. 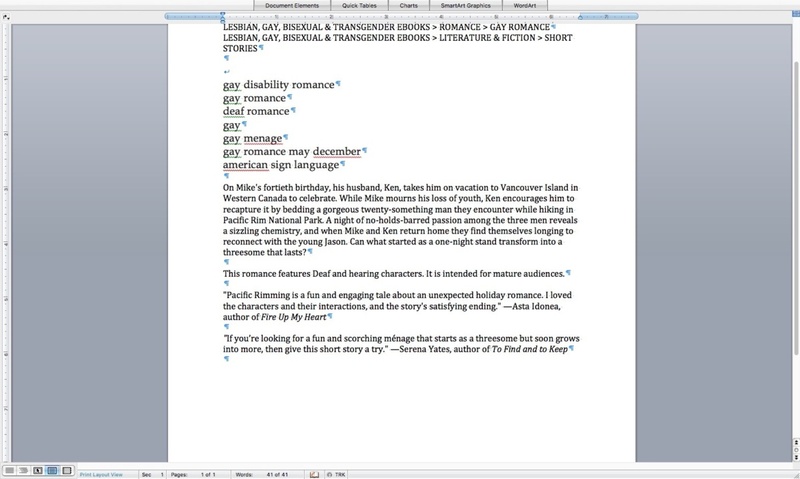 Select Upload Manuscript toward center of screen. 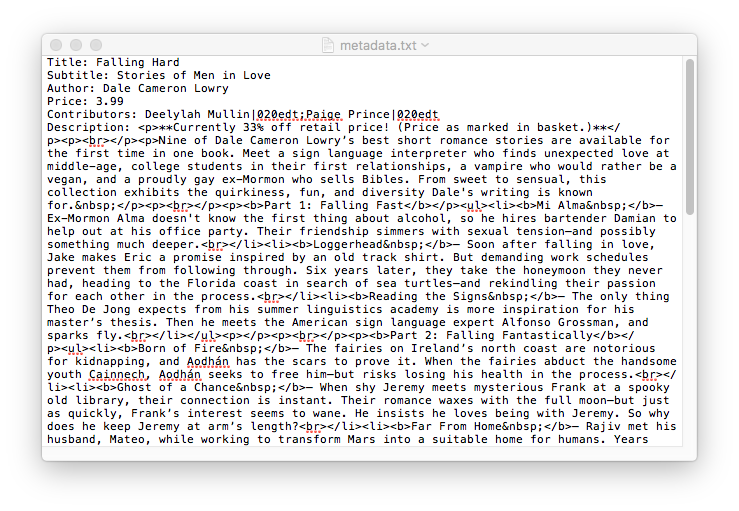 Select Upload Manuscript. You’ll come to this page. 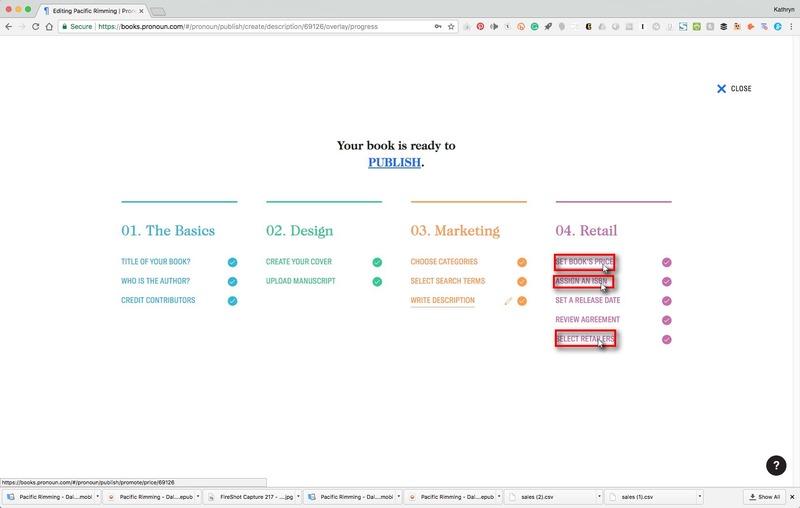 Epub link is located toward center of page. Just double-click on the hyperlink to download the epub version. 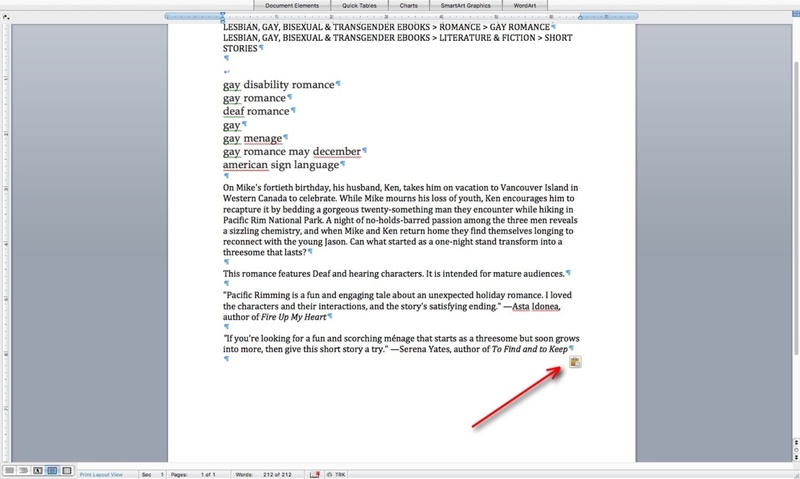 Kindle link is located toward center of page. Do the same thing to download the Kindle version, then return to the Progress menu. 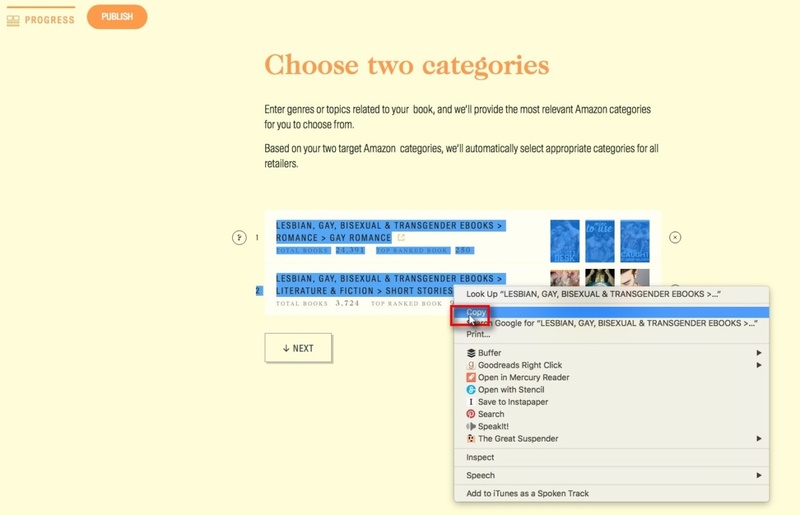 All retailers and district leaders use categories to sort their books and help readers find what they are looking for. Copying this information will make it easier for you to find the right categories when you upload to new venues. 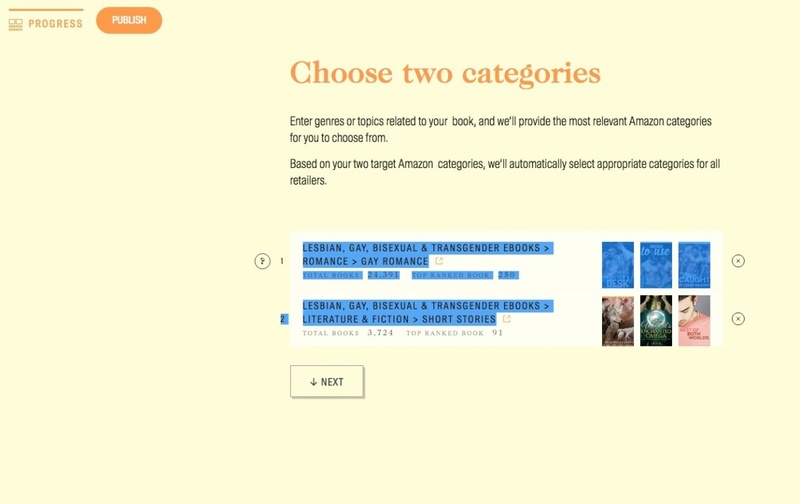 Choose Categories appears as the first item under Marketing. If pictures show up along with text, you can easily get rid of them by clicking on the clipboard that appears at the bottom of the pasted section. 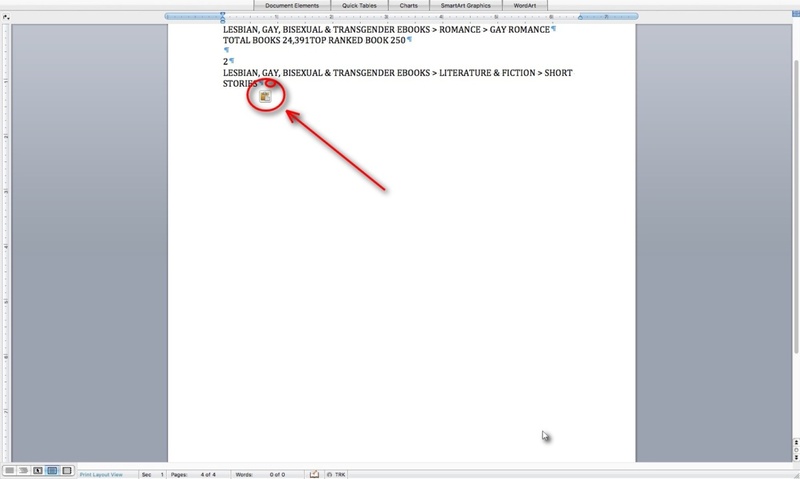 Search terms, or “tags,”are used by many retailers and distributors to help them categorize books. 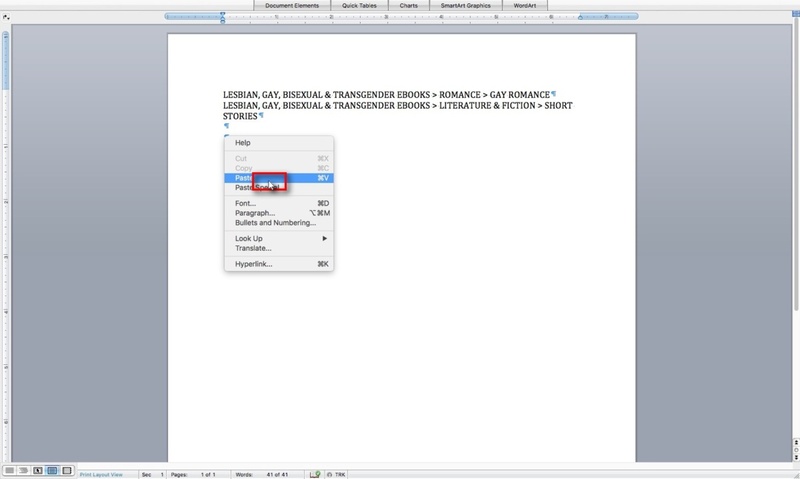 Copying this information from Pronoun means you will have it at the ready and will need to come up with new tags from scratch when you upload your book to a new distributor. 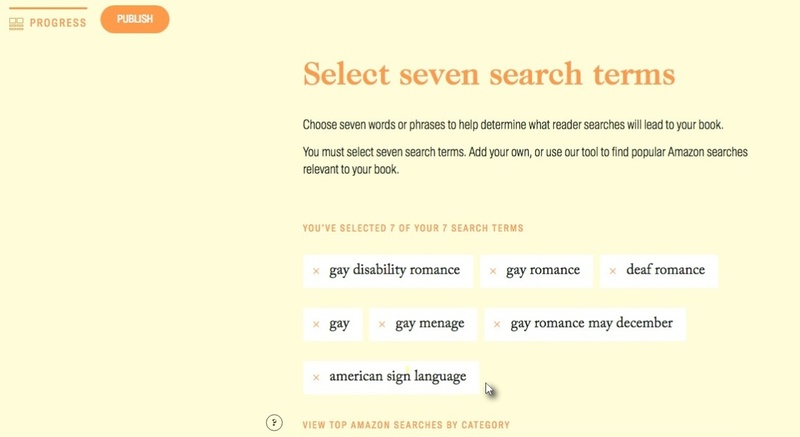 Select Search Terms appears as the second item under Marketing. Click on Select Search Terms. That will bring you to this page. Highlight your search terms, then copy them using the same method you used to copy the categories (right-click, then select “Copy”). 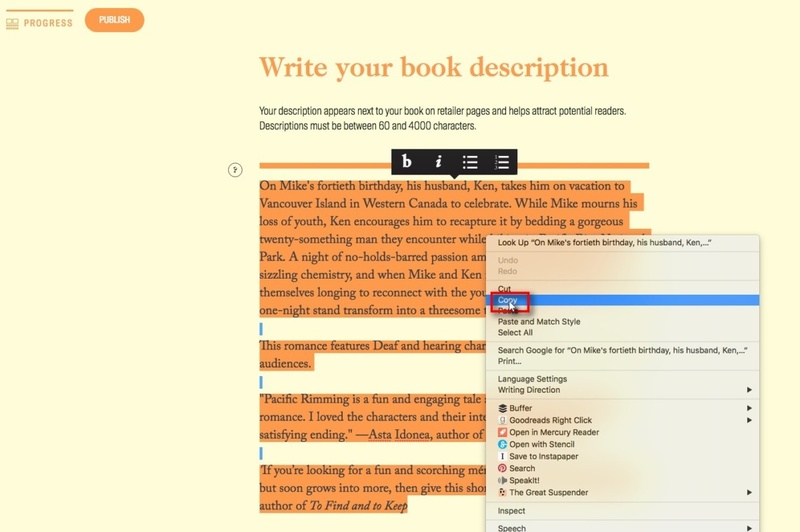 Return to the Progress menu and select Write Description under Marketing. Write Description appears as the third item under Marketing. 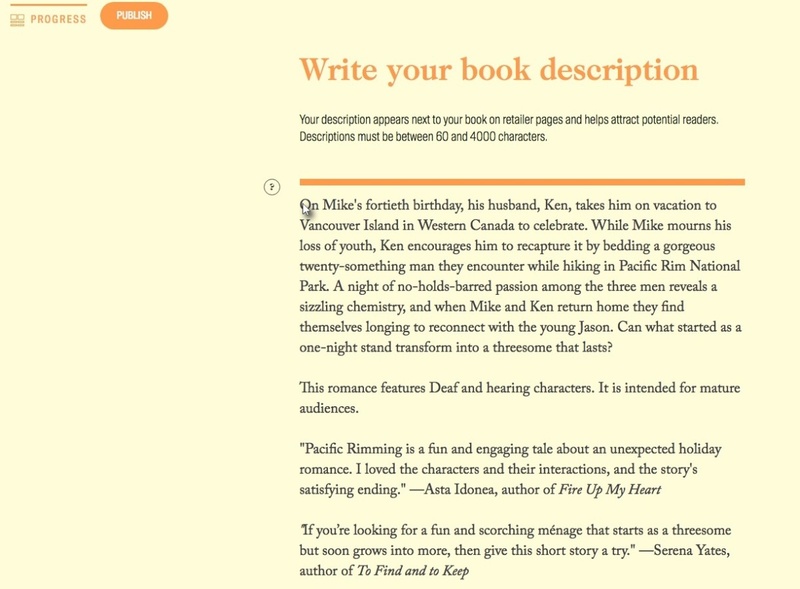 Highlight and copy the entire description (aka “the synopsis” or “the blurb”). You’re done! 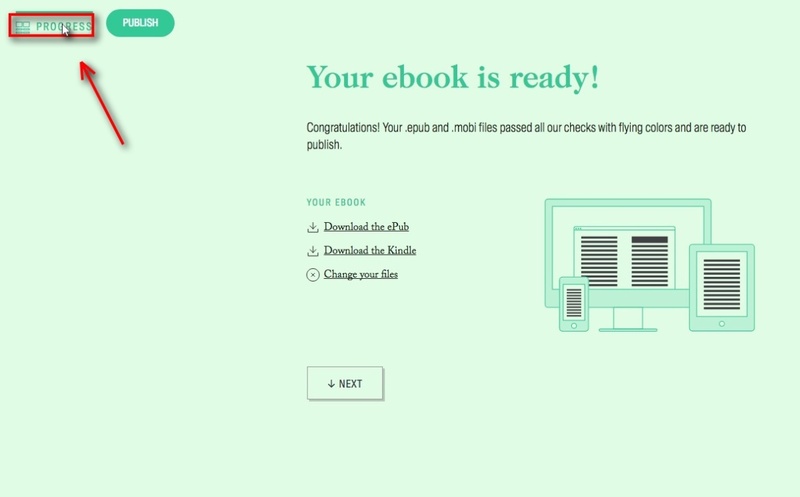 You now have the information you’ll need when uploading your book to new distributors. I consider this information less essential for various reasons. With price, it’s because any time you are considering a new distribution options for your book is a great time to also look at your pricing strategy. It may be time to consider a lower higher price for your book depending on a number of factors. 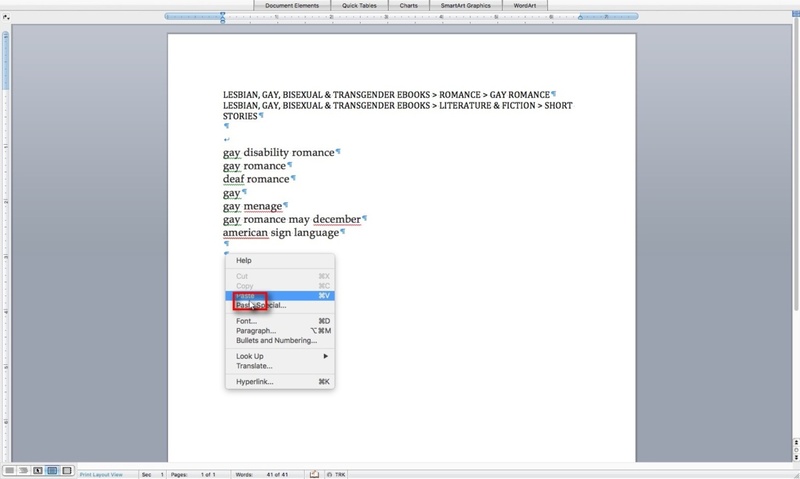 For ISBNs, if you were given a free ISBN through Pronoun, you cannot use it again. 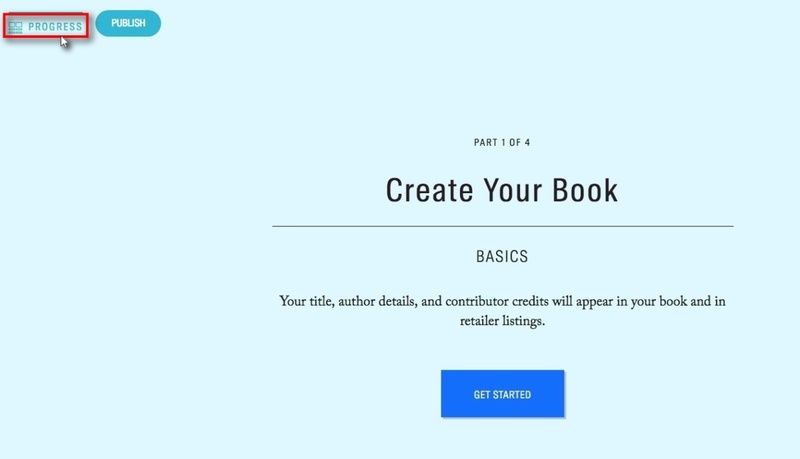 You will need to acquire a new ISBN through your new distributor or purchase one on your own. However, you may want to take note of it for record-keeping purposes. If you use your own ISBN that you purchased independently, it is portable. 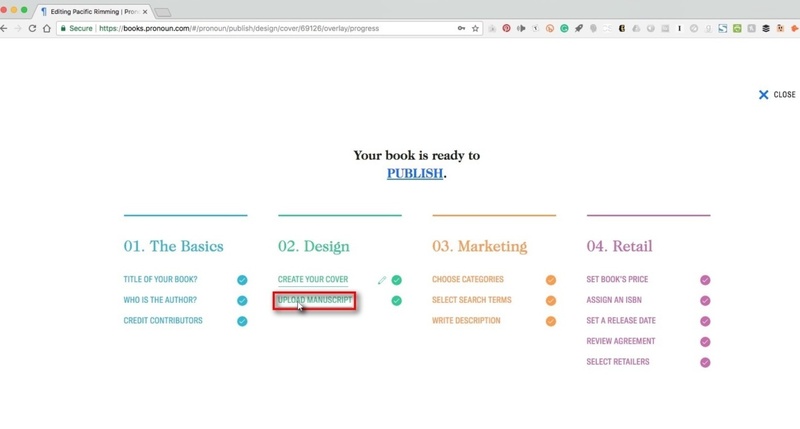 But you should already have a record of this ISBN through your account at your national ISBN agency, so copying it from Pronoun isn’t necessary. A list of retailers that you distributed to through Pronoun can be helpful if you want to make sure you continue to distribute to the same venues. I already keep this information in a masterlist elsewhere, so I didn’t need to copy it today. I hope that helped! Let me know if you have any questions below. 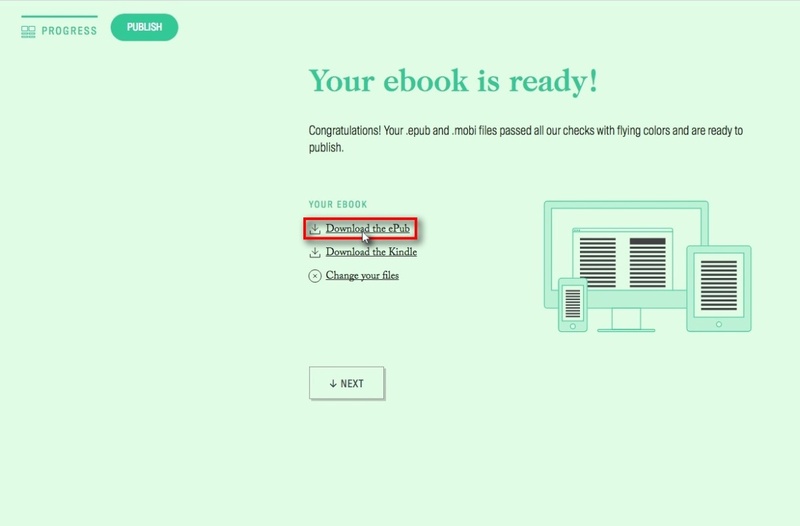 And if you’re ready for the next step—distributing through new sites—check out my guide to publishing ebooks on Smashwords. 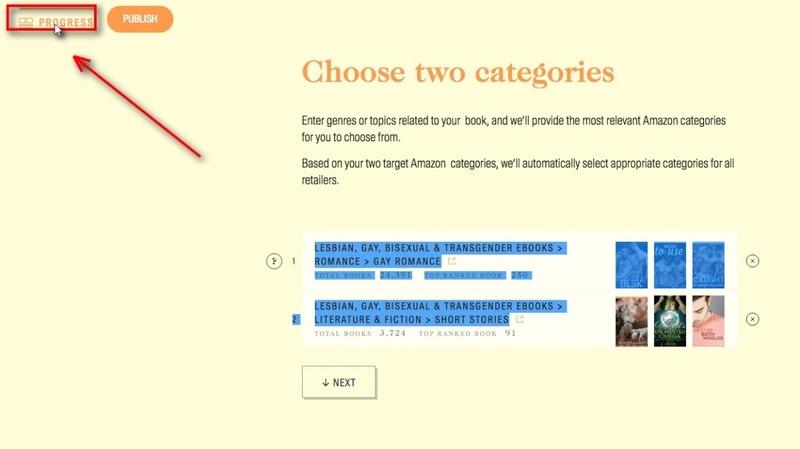 Also, check out this post on preserving your book’s Amazon ranking and reviews: https://kdp.amazon.com/community/ann.jspa?annID=1397.